Bummed out there haven't been more trades? Last year 16 moves were made between June 26th and July 1st. They're coming, folks. Just a quick late night update as we enter the UFA interview period. - Tons of names still out there on the NHL trade market. A little bit surprising more big names didn't move at the first round of the draft tonight, but the willingness to make moves remains strong. Among the top teams to watch the next few days are the Oilers, who just selected yet another winger, and are looking to move one or more of Jordan Eberle, Nail Yakupov and perhaps Ryan Nugent Hopkins to upgrade on the blueline. 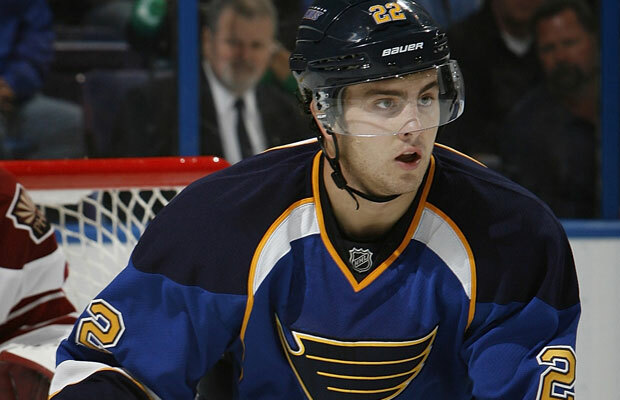 - Another few names to watch over the next few days...Blues dman Kevin Shattenkirk, Ducks Cam Fowler and Lightning goalie Ben Bishop. Rumours have surfaced connecting Bishop to the Stars, which is perhaps not a shock given the previous rumours linking them to Marc-Andre Fleury. - A darkhorse trade candidate whose name is out there...Buffalo's Evander Kane. - Still waiting to see if the Wild move some of their blueline depth to improve up front. If I'm them I wait and see if a big name UFA forward like Kyle Okposo is a possibility.